Supplies all essential nutrients commonly deficient in meat and dry food diets. Orally administered which is the safest way to boost a greyhounds intake of nutrients. Essential for energy conversion from carbohydrates, proteins and fats. 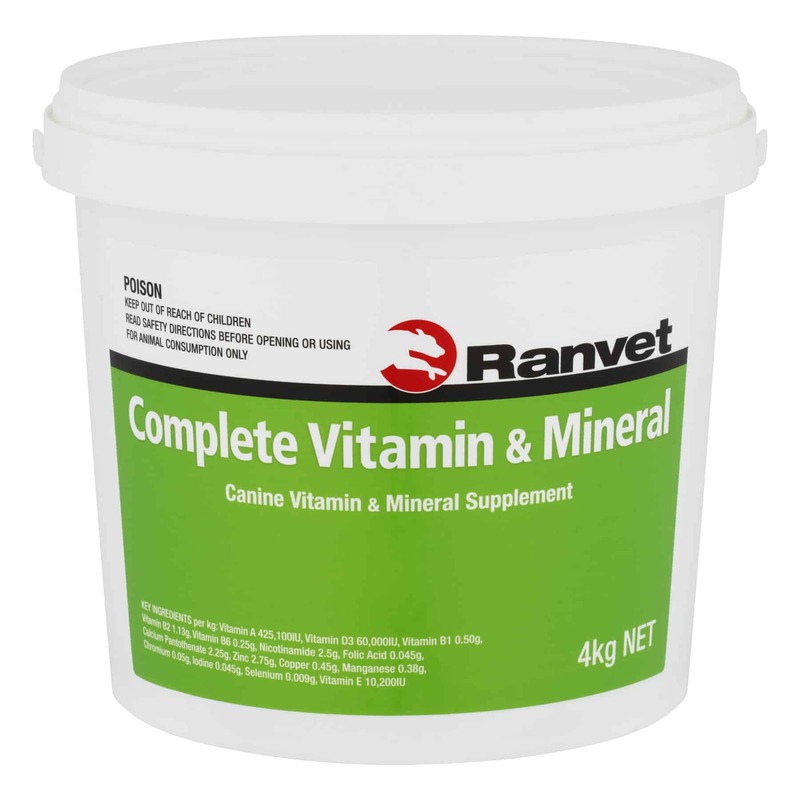 Provides supplementary levels of 10 important vitamins and 7 trace minerals to meet the elevated nutritional demands imposed by racing, pregnancy & growth. Mix evenly into feed only once daily. Introduce gradually over 5-7 days to full dose. Administer 4g daily to racing, pregnant, lactating and stud dogs. Spelling dogs require 2g, pups receive 1-2g daily. A shortage of any essential, high turnover nutrient will significantly reduce performance and health until the deficiency is corrected.